New flat, new degree and one final year of study! So things have been pretty quiet around here but I took the decision to put my little blog on the backseat as I focused on some pretty big changes in my day-to-day life. I finished up work in the bar at the start of September and toddled off back to university to begin my Diploma in Professional Legal Practice. In Scotland you have to do a four year law course (the LLB) and then if you want to become a practising solicitor you have to then complete your DPLP. This is a one year full time course at university where they teach you more of the practical side of law. It's quite the adjustment from Honours year where it was all about millions and millions of readings! I thought this year would be easier without exams and dissertation looming over my head but I already feel constantly busy with coursework, preparation, court visits and extra-curriculars. I also made the move from my beloved old flat of 3 years to a new little abode with two sparkly new flatties. I'd previously lived with old flatmates since we'd been flung together in halls of residence on day one so it's been strange not seeing their wee faces every day. I've been lucky enough however to be welcomed in by another pair of lovely jubblies and couldn't be happier living with them. It's always hard living with other people that aren't your family (I swear people underestimate this) but it's far easier when they're just like you. I've also been busying myself with getting Her Campus Aberdeen (an online magazine and society which I'm editor-in-chief of) back up and running as it doesn't publish during summer. We've also taken on about 40 new members so that's been pretty hectic! I've spoken about Her Campus and the blogger network before but I honestly don't know what I'd do without Her Campus. I made some of my best friends in the previous two years that I've written for the magazine. Since law is one of the few five year courses, the vast majority of my girl friends have now moved away to become proper adults so Her Campus has become my surrogate little girl gang. So that's y'all caught up with what's been going on with me! Hopefully that's me back for good as I've really missed my little blogging bubble and creative hub. What've you all been up to?! Give me the chat! Also if you haven't seen, I'm advertising over on the lovely Imii's fantastically beautiful space on the internet - so go check her out! Sounds like you have a great, albeit busy year ahead! I love that you have a magazine at your university, I'd have loved to get properly involved with something like this, we didn't really have anything as interesting as that, it looks fab!! I love your room, it's gorgeous, and I agree with you that living with others is underestimated! It can be tough. Hope you are settling in. 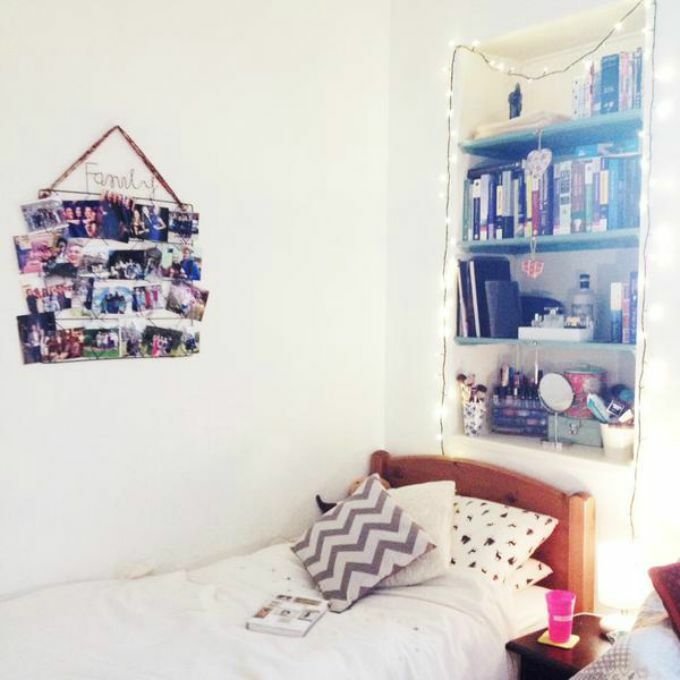 Your room looks absolutely gorgeous and thank you so much for the mention!